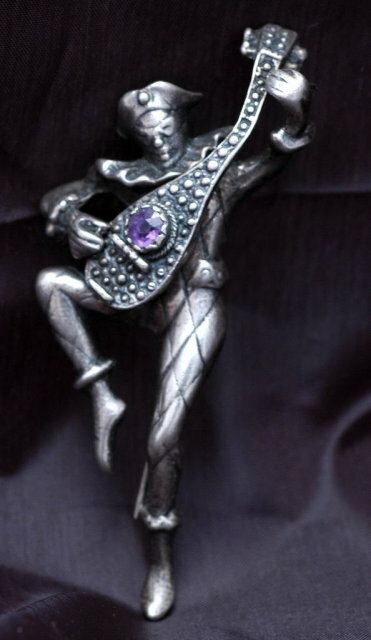 Big Heavy Solid Sterling Silver Amethyst Harlequin & Mandolin Pin. 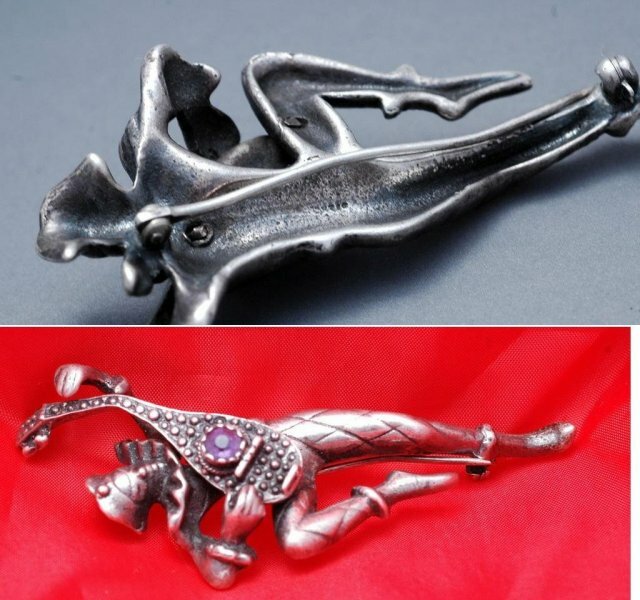 It has very intricate detailing and a genuine amethyst gemstone. It measures 2 1/4" long and weighs 30 grams. The condition is good is it dark with a lovely old patina. There is a slight kink in the pin back but it is very sound. This is a remarkable piece that is unsigned other than a 925 mark on the back. 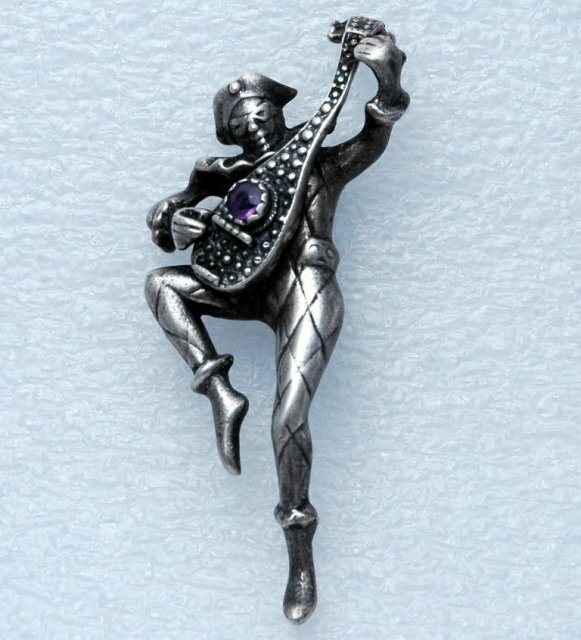 Items Similar To "Sterling Amethyst Harliquin Mandolin PIN 30 gms"